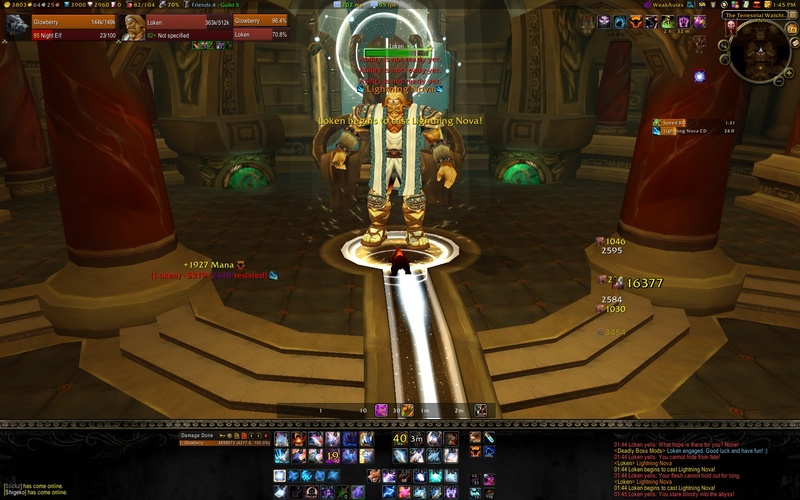 Another weekend heroic, this time Halls of Lightning. Slowly whittling away at my list. 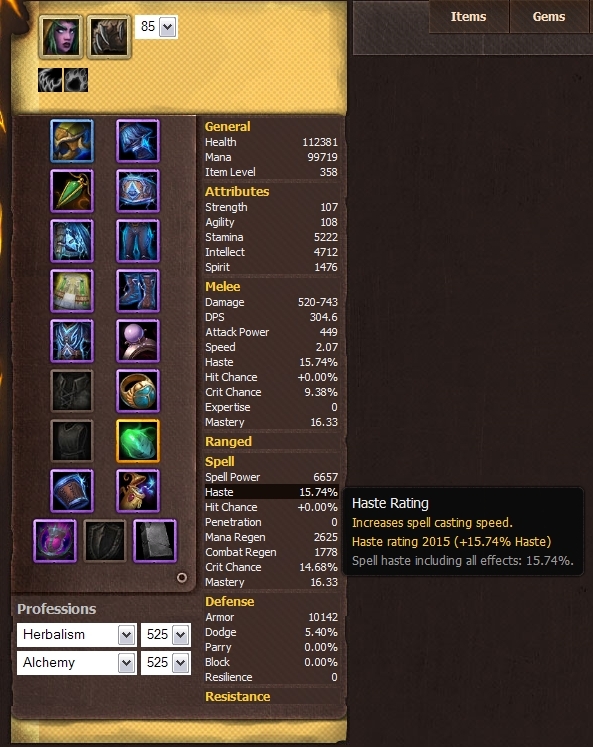 Usual set up: feral tank spec and gear, ilvl 346 or thereabouts. The clear took about 30 minutes, I avoided a fair bit of trash. The trash in here was fairly easy, although a bit painful in the first few groups, what with disengaging and knocking back aplenty. I cleared the right hand arc of the entry area, so I could engage Bjarngrim without picking up adds. I then cleared through the Slag gauntlet, pulling them up to the stairs. Their death explosions don’t dent the lvl 85 health pool. The I cleared the first elemental pack, but stealthed past the rest – they didn’t present much of a challenge, and I wanted to push on. Onto the ‘statue’ corridor after Volkhan. The Siegebreakers fear when they die. I cleared the first group, and tried stealthing past the second. But they pop into life anyway, and still aggroed on me. So I cleared the rest. 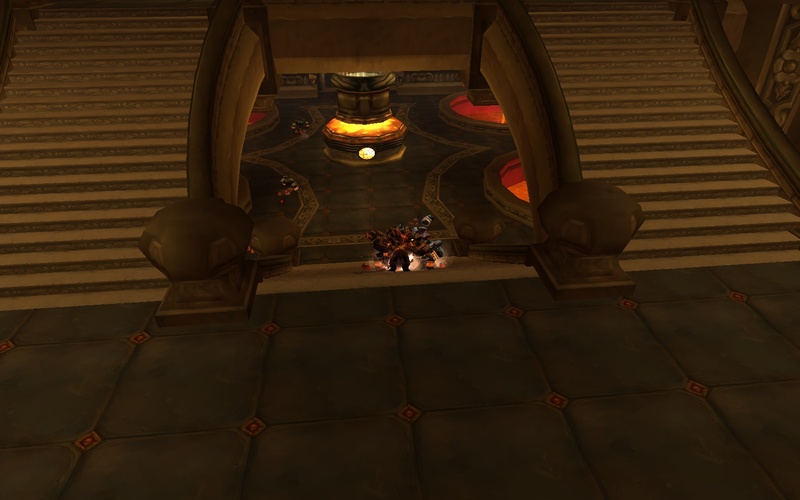 In the last large room after Ionar, I cleared the entry golems and one pack of Stormforged guys, but basically stuck to the right hand wall, and you can avoid most of this room at 85, even without stealth. Just keep an eye on the patrols. None of the bosses presented particular issues. 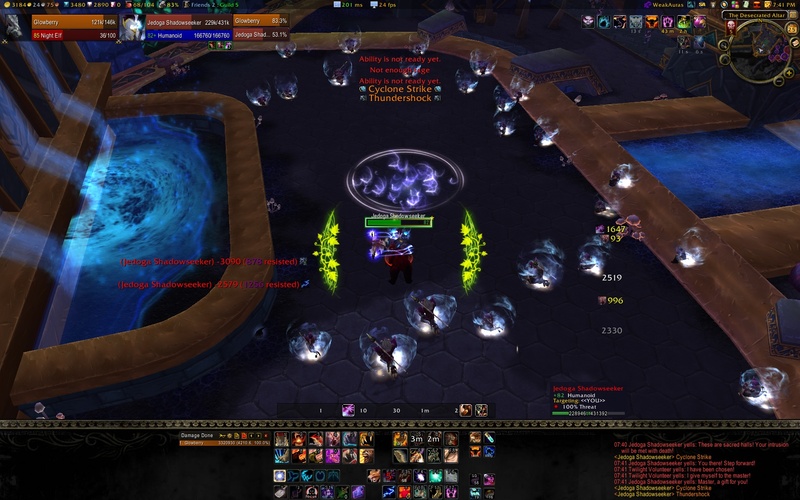 I tanked them all in bear form, and I didn’t need mitigation cooldowns – so any tank class (and probably lots of other nontanks) could solo them. As I stated above, I cleared the area. I pulled him with his lieutenants then popped beserk, and killed them before moving onto him. Whether he was in berserker or defensive stances, he didn’t do much damage. Admittedly, I didn’t try him when he was lightning charged,. It would have been less waiting for him to patrol, but I wasn’t sure how I’d go. I think it would have been fine. Another easy tank and spank. I ignored his adds and just single targeted him down. I guess because I ignored the adds, they didn’t ever get low enough for him to shatter them. I spent spent the whole fight ready to step away from the adds, but never needed to. Again simple tank and spank, except for his dispersion. Once he dispersed, I kited the sparks down the centre of the stairs and then back up the side wall, so I didn’t get any stacks. But because it was just me, I spent the whole fight with the annoying dot going – I was on about half health by the time he died. And lastly, another easy ye olde tanke and spanke. I didn’t run out for nova, just barkskinned the first and SIed the second – but to be honest all of that was unnecessary. And that’s that! 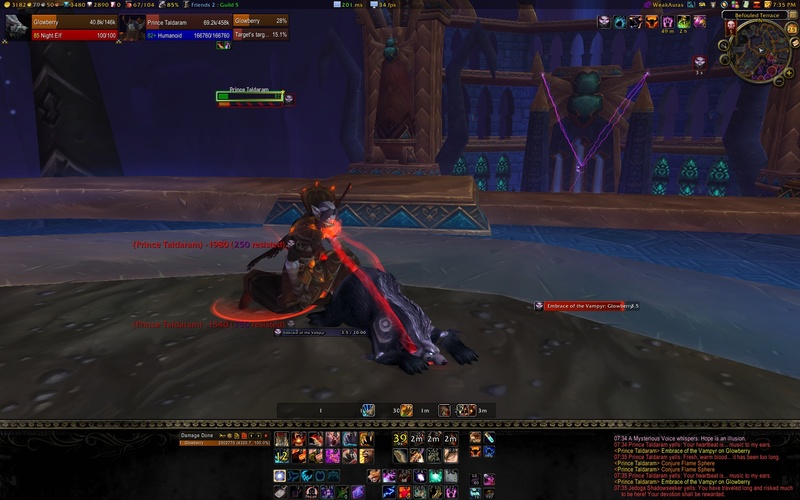 Possibly the easiest of all of the wrath heroics I’ve yet attempted. More free time on my plate, so back to soloing stuff! Working down my soloing list sequentially, which mean Old Kingdom was today’s project. 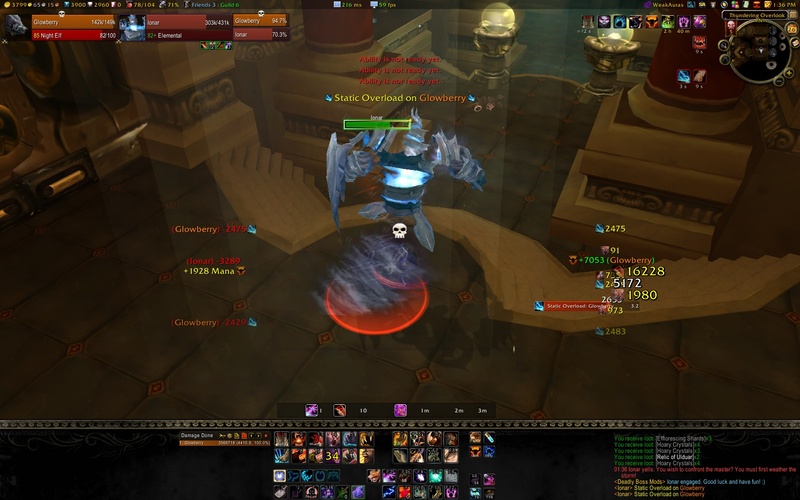 Usual set up: feral tank spec and gear, ilvl 346 or thereabouts. Trash was fairly trivial…. except for the Spell flingers. They do an attack that does 80% of your max health, so if you accidentally aggro two groups, you will probably die. I aggroed two groups. I died. Two of these and you're toast. The rest was pretty easy. The entrance watchers are stealth detectors, so even if you’re a stealther you’ll need to clear these guys. Lots of the rest of the trash was avoidable just by walking around it. The bosses were all easy…. except for Taldaram. I went bear and single targeted him and swiped/thrashed the small adds as the arrived. Once the guardians arrive, switch to them and kill them, then back to the boss. Didn’t take much damage so he was easy. Ok Taldaram was tough. I tanked him in bear form. Possibly I should have started popping cooldowns earlier to keep my health high so I didn’t run out of cooldowns late in the fight. His channelling is nasty with noone to break you out. Not deadly, just an unmitigatable dot and a humiliating posture. It's not what you think! We were just hugging. Jegoda was fine. I tanked her in bear then popped into kitty when she called a supplicant. Still, I only just killed the supplicant in time – it probably wouldn’t have mattered if I didn’t, she didn’t do much damage herself. Jedi bosses. Gotta love them. I stayed out of her lightning patches and just burned her down in bear form. He was really easy. So easy in fact that the door bell rang and I had to afk for a while. Lastly Mr Mind Control. Except not, as it was just me. He channelled Insanity at his 66% and 33% marks, but there was no insanity for me. He whispers to me about my guild. "Those who dine on lost souls..."
Once I realised I could skull bash ll of his mind flays, he was a simple tank and spank. 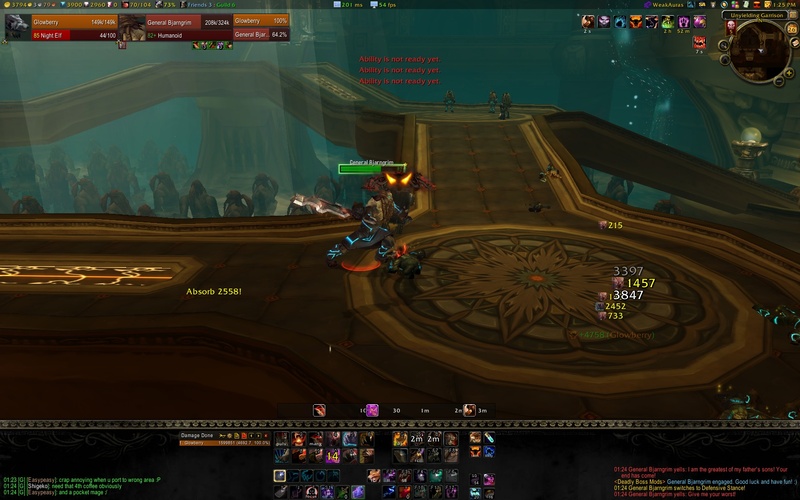 So that’s it, one more wrath heroic down, and yet again it was the San’layn prince that was the hard part. 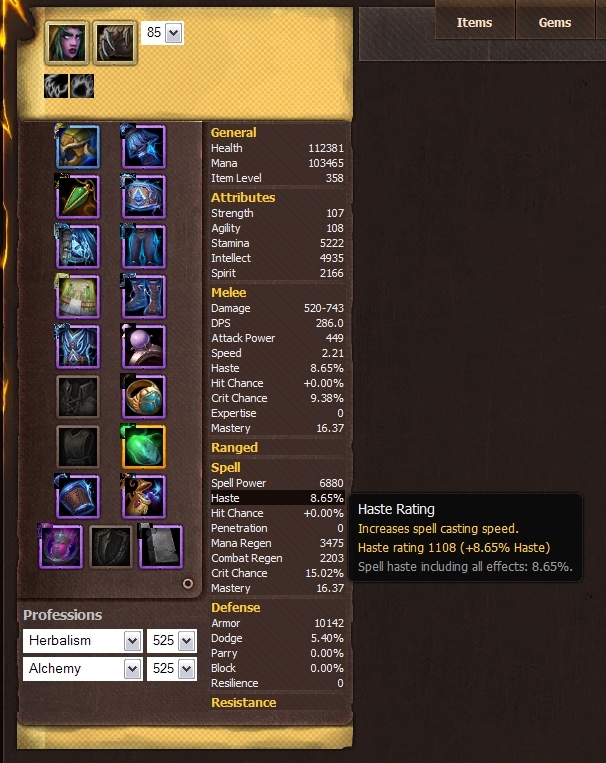 New druid guide – aggro! I’ve just finished the text for a new druid guide about managing healing aggro. 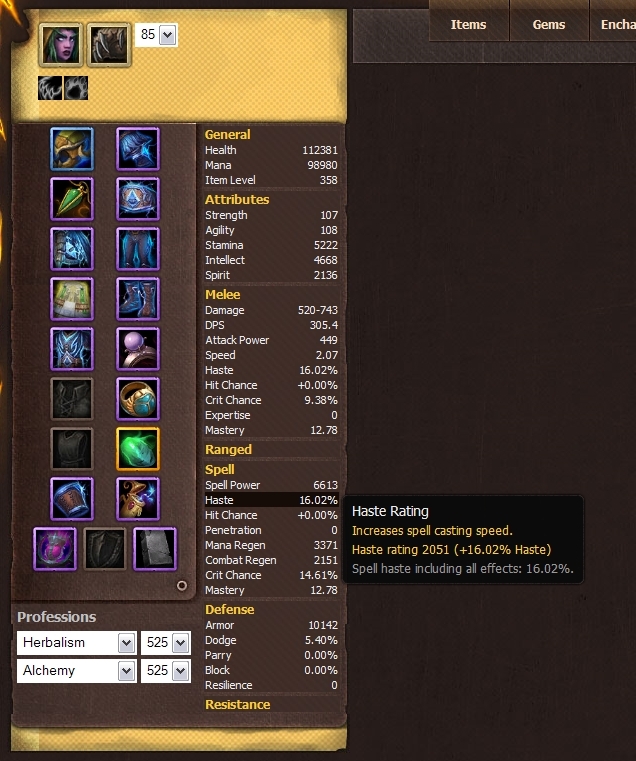 You can find it in the Druid guide menu above, or here. In any case, I hope it’s useful for new druids, as well as any healers struggling in instances where they are grappling with new-found friends unwanted aggro during combat. Images to come, it’s a bit text-y at the moment. 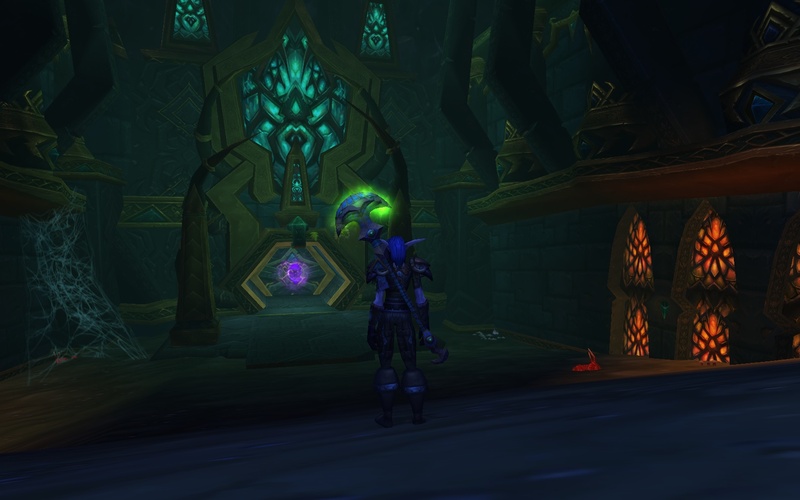 Been away for work for a few days, so not much WoW activity and not much bloginess. I have been working on the first of my ‘Druid healing – advanced’ pieces to follow on from my basics guide. The first part will be about managing healer aggro and that’s about three quarters done so should be up in the next day or so.